We are on America’s Great Loop, a 6,000+ mile circumnavigation of the Eastern United States. There’s a map of the route we’ll be taking on one of the pages next to this one. 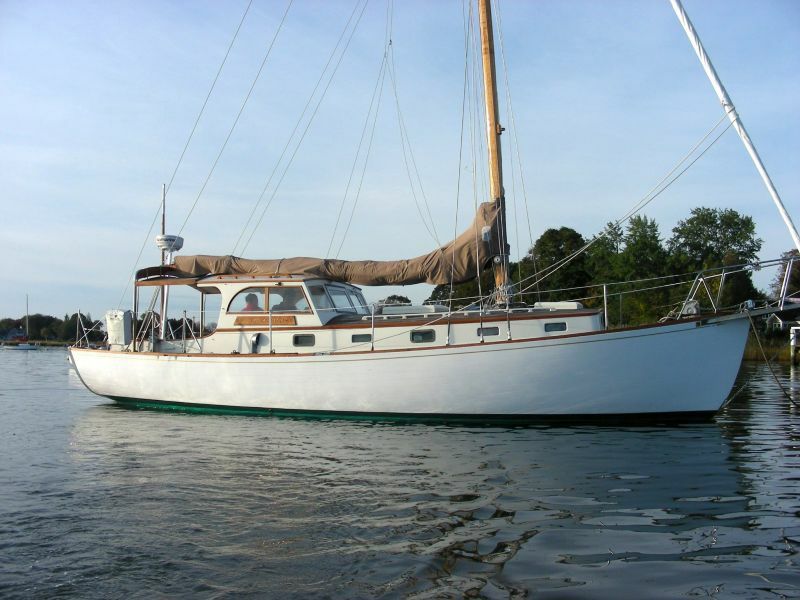 We left on June 24, 2012, from our home port, Guilford Yacht Club, about half-way up the Connecticut coast between New York and New London. Hundreds of crews are currently undertaking various parts of this great trip, but what’s unusual about us it that we’re doing it in a 51-one year-old wooden motorsailer. The trip has been in the back of my head for many years, ever since I came across a book about cruising the inland waterways of the U.S. and was surprised, as so many people are, that the canals, rivers and lakes of the U.S. and Canada all link together pretty seamlessly into a great, big oval with not too many challenging, open pieces of ocean to contend with. Then I fell in love with and purchased Memsahib (Mistress in Hindu, and my mistress in fact) and realized what a strong, safe, old girl she is and more than capable of the voyage. The next piece that fell in place was my son John, a good kid and a good crew who got his act together in the latter stages of high school and got into some very good colleges of the type that would appreciate a new freshman who had just finished a year traveling through American history. Finally, the hard work of my partners at FrontLine Marketing and my wife Molly gave me the financial resources to retire (sort of) at 61 while strong enough to horse 22,000 pounds of boat around if I have to. All those pieces came together very gradually, and I can’t say when I REALLY decided to go. But I pushed the mental button when John was accepted into Miami University of Ohio last full and have been in full time preparation and voyage mode ever since. Memssahib is truly one of a kind. 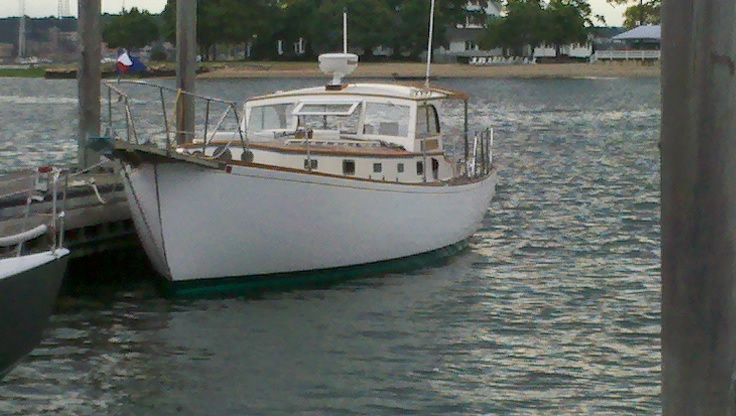 She was built of teak and other tropical hardwoods in Hong Kong in 1961. She is immensely strong and stable, with what sailor’s call an “easy motion,” working her way through the waves steadily without a lot of bucking and commotion. I bought her in 2000 from John Braider, a brilliant boat conservator who had one a great job for 18 years conserving and improving Memsahib’s basic fabric. I do a lot of woodworking myself and have continuously added features and equipment to make Memsahib safer and more comfortable. 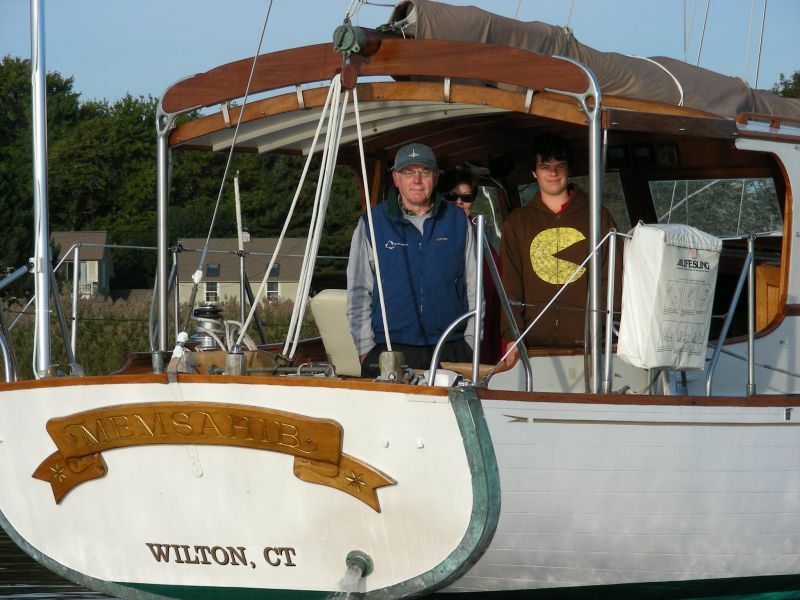 Memsabib was designed by the great Walter McInnis of Boston, a talented designer of every kind of small craft imaginable from rowboats to minesweepers, but probably best known for husky go-anywhere power yachts. 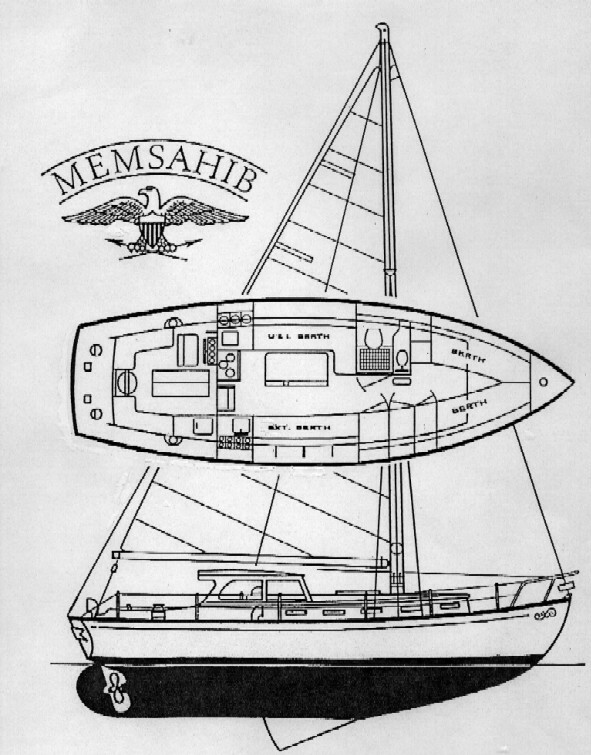 Memsahib is a motorsailer – supposedly a compromise boat that sails as well as it powers. We used to sail Memsahib a lot, but it took a lot of breeze to get 11 tons of teak moving. So we are fortunate that she powers very well under the 50 hp Beta (Kubota tractor engine block) diesel that I installed several years ago. In fact, for the trip I left the 450-lb Spruce mast at home rather than lug it around and take it up and down to accomodate those parts of the Loop that are filled with locks and low bridges. Some of the true-blue sailors we encounter are critical of that choice, but then I am out doing the Loop and they are generally sitting at their home dock.